I remember when I first began snowboarding. The night before my first trip up to the mountain, I could barely sleep, I was so excited to get out there. I stayed up most all the night with my buddies watching snowboard movies on repeat, envisioning the amazing tricks I would be busting out the next day. Alright, so yes, I had big dreams and aspirations and I have to admit…my day was definitely not spent doing any of those tricks. The next morning I woke up on zero sleep, but I popped right up ready to rock. It’s easy to get motivated to go free ride in the beautiful mountains of Lake Tahoe. But what do you do when you are doing something that is hard to get motivated for…something like studying for the FE Exam after a long day of work? Putting studying up against something like hitting the slopes after a storm comes through and dumps mad freshies is no competition. But let’s be realistic…as much as we wish life was all fun and games, there are times when we need to hunker down and actually put some focused effort in to things that will develop our personal and professional lives. These things aren’t always on our fun list, so it’s critical that we develop some go to habits to help us push through when the motivation isn’t coming naturally. When we get in to preparing for the FE Exam, there are without a doubt going to be days when we just don’t feel like showing up. Days when we feel off and just don’t have the energy or emotional stability to push through. This is the ebb and flow of engineering exam preparation…or for that matter life, and I personally experience these emotional roller coasters as much as the next person. However, like I’ve preached before, this is a fact of life, a known quantity…and as with any known quantity, strategies can be put in to place to deal with these instances to ensure we are performing at the highest level possible despite the obstacles. I raced BMX for 8 years of my life, at different times during my childhood and throughout college. During that time I traveled all over the nation competing in events against the best athletes to ever step foot on a race track. I was factory sponsored, which meant that I competed with all my expenses paid. This also meant that I was on my sponsors schedule which required that I be in certain places at certain times to represent my factory brands. I was beyond Blessed to have had the opportunity to travel the country starting at the age of 12 and see some places I would have never seen had I not began racing bikes. But these trips weren’t always easy. You see, factory teams compete against other factory teams during these events. The team managers put together what is called a “team sheet” and submits it to the events coordinators. Think of these team sheets as a starting lineup of a basketball team. The basketball coach puts the 5 players on the floor that gives him the best chance to win. This is the same in BMX. Although there may be 10 people on the team, only 5 got put on the sheets for any given weekend. During one particular stretch in time, I was competing every other weekend and my mind and body just got burnt out. With so many races on the schedule, there where always days in which I just didn’t feel up to it, I just wasn’t motivated or mentally up for what the day entailed. In this way, I’d say that BMX is a lot like life. There will always be days when the things that are important to you feel like a grind. But the race is going to go on whether or not I was “up” for it. The Team Manager was going to be putting me on the Team Sheets whether I wanted to be on there on not. The sponsors were going to be looking to me to represent their brand whether I was ready for it or not. That was what I signed up for, and that’s what they wanted…so with that, I had better find a solution for those days that I didn’t feel motivated. I did this by developing a pre-race ritual, using the knowledge of “Habit Loops”, that would automatically and subconsciously trigger my mind and body in to “compete” mode. I would put on my headphones and turn on my iPod to Underoath. I would then begin riding. The first half mile I would ride at 90 RPMs. At a half mile, I would step off my bike, and go through a stretching routine…the same one each time. This would take exactly 15 minutes. I would then get back on my bike and ride the half mile back, alternating between 5 seconds of sprints at 150 RPMs and 55 seconds of cruising at 90 RPMs. Once I got back, I would lower my seat, and walk over to the Team tent where I would go through a second routine of dynamic stretches. Once complete, I would get back on my bike and slowly ride around the facility, looking at the track, and visualizing myself racing around it. All in all, this ritual took about 45 minutes, and once complete, I wasn’t only warmed up, but my mind was right, focused, and my body was ready to compete at the level that was needed. This sounds simple…and it is. Even when my mind and body weren’t feeling up it, after I finished my pre-race ritual, I was always in race-mode. So in other words, it didn’t matter if I came to the race facility motivated to race. My pre-race ritual was initiated with a simple Reminder (cue) that triggered an internal domino affect of sorts that ensured that when I got on to the gate, I was going to perform. Imagine if you had a ritual that could pull you in to workout mode or study mode no matter how little motivation you had going in to it. If you were to peel back the layers of the greatest sports stars or the most successful engineers out there, you would without a doubt see a common theme…they all have unique rituals they go through day in and day out to perform at the level they do. Basketball players do the same thing before each free throw they make. Corporate executives that follow the same ritual to start their day every morning. It’s like a situational cleanse of sorts that resets your mind and body to a familiar level ready for action. Do you think that these “successful people” start each day with unlimited motivation? There are days when the World’s most talented individuals wake up lacking anything that resembles motivation. But they don’t put any thought to it and roll straight in to initiating daily rituals to get their minds right and ready to perform at the level they expect. You can do the same, with anything in your life, and more specifically as you prepare for the FE Exam. One of my favorite books is “The Power of Habit” by Charles Duhigg. Your life as it stands today is a sum of the habits you have formed. The results of these habits are directly linked to things that have transpired in your own life: like how in shape you are, how happy you are, how productive you are. What you repeatedly do and spend time on daily ultimately forms who you are, the thoughts that dominate your mind, and the character you put forth to the world. How does that tie in to having good habits? The feeling of being motivated is a reward of a successful routine initiated by a Reminder. That’s the Habit Loop illustrated. That reminder, which can also be referred to as a cue or trigger, leads to a certain routine which leads to a specific reward. Do it right, and that reward is positive. Do it wrong, and that reward will be negative. If you want to change the direction in any part of your life, simply understanding the components of a habit loop will empower you to make the changes you desire. Everything you do on a daily basis is tied in to some habit. Whether you realize it or not, you are constantly being cued with reminders that are leading you in to some routine and ultimately providing you with some reward. Reminder: The cue or trigger that initiates some action. Routine: The action, or behavior, that is spurred by the reminder. Reward: The result or benefit you get from taking the action. In his book, Duhigg refers to this three step framework as the “Habit Loop”…a framework that has been proven over and over by behavioral psychological researchers as one that can make an incredibly impact on the overall trajectory of your life and your engineering career. The habit loop is directly responsible for where you are today and will be responsible for where you are tomorrow. It can be a good thing or a bad thing, but there is no getting around the impact it is making on our own lives. But the best news is…it’s completely up to you how you want your habit loops playing out. So how do we set up a ritual, or a habit loop, that is sure to reward us on the positive end of the spectrum? Follow these three steps to get started. Step 1: You can’t say No. It’s easy to think that in order to make a massive redirect in your own life that you have to implement some equally massive changes to instantly teleport you to your goal. Think about the last time you wanted to change your diet or wanted to get in better shape. I bet the first thought that was going through your head was that you had to completely cut out some type of food cold turkey or hit the gym for two straight hours. Life redirects are great things to desire to, but our life goals are not our habits. Our habits are the mechanisms that direct us towards our goals, but they are not the goal itself. In order to develop a habit that sticks the first thing that must be done is to introduce a reminder, cue, or trigger that is so simple you can’t say no to it. For me, cracking the code on flossing was to put the floss right by the toothbrush, and to commit to myself that I would floss one tooth — only one tooth — every time after I brushed. I could floss them all if i wanted to, but the commitment was just one tooth. We aren’t looking to develop a Reminder that requires us to put in some amazing amount of effort in to it to complete. We don’t want to have to dip in to our Will Power or depend on an ounce of motivation (which may not be there yet) to get started with our routines. This is the laying the clothes out next to your bed to trigger your morning workout routine. This is the taking my BMX bike off the bike rack to trigger my pre-race ritual. This is putting a glass of salt water next to my bed so when I wake up I can drink it and trigger my morning routine. The most important thing for anything we do in life is just getting started. Remember Quick Wins…they are relevant in studying and they are relevant in life. If you can’t find motivation to get started, it will come to you once you initiate your routine, that’s why it needs to be dead simple at first. Step 2: Your routine should lead you towards your End Goal. Your routine should include some form of physical movement. It’s hard to think yourself in to motion and becoming motivated. Think about it. When you are unmotivated, what’s your typical body language look like? I am going to guess that you aren’t moving much. Maybe you are slouching in your seat, or leaning on your desk with a hand propping up your head…or more likely, it’s just straight up lounging on the couch. The lack of physical movement is directly linked to a lack of mental energy, they go hand in hand in the subconscious world. So if you aren’t moving, naturally your body is going to switch in to energy conservation mode. In this mode, your mental state hits a flat line and when the neurons in the ol brainskie aren’t firing, becoming motivated is near impossible. However, because of this link, the opposite is also true. If you are moving around, exercising the neurons, then your body is going to follow suit and you are more likely to feel energized and focused on what’s going on around you. For example, I have three daughters, and when I am feeling tired after work (or really at any point of time), we get up and have dance parties. We will put a silly song on the TV and just get at it for 3 minutes. Every single time I do this, not only am I laughing with my girls, I feel more energized and ready to engage and be present with my family. So at first, focus on Step 1 and put in to place a Reminder that is dead simple to jump start your Routine. Make it so simple that you can’t avoid doing it every single time you go to study. From there slowly ramp it up so that you are including parts of your routine that are physical in nature. Being physical doesn’t have to mean exercise or dancing for that matter. It could be the simple act of writing in a journal or reading a devotional. The whole point is to begin moving you towards your goal. If the goal is to begin studying, then maybe highlighting your notes from yesterday is the key to sparking that motivation. But here’s a tip, if physical activity isn’t part of your routine, try standing while you write or highlight your notes…it will help you activate your mind and body more efficiently. Step 3: The routine should be carried out the same exact way each time. The primary goal of any routine is to build a series of events that you always perform to inch your closer and closer to your desired reward. It’s almost like a real life “If this, then that” scenario where your body is taking the cues from your actions and stepping you in to the next action in the series. Eventually, the routine will be so embedded in to your day to day pursuits, that just initiating it, your mind and body will be primed for performance no matter what your initial state of mind is. The big point being, you don’t need to rely on Will Power to usher you towards being motivated, you just need to put in to place a Reminder to cue your desired routine. It’s a trigger that sets off an avalanche of movement towards ultimately being in a mindset to perform on whatever it is you are needing to perform on. Finding the right cue to spur you in to a motivated mindset may take some experimenting. This life is your life, your body is your experiment. It’s capable of doing amazing things, and it’s up to you to determine what you need to do to take advantage of those capabilities. Once you feel the rewards of good habits and routines, there will be no going back. You can use this framework to change or shape any habit in your life. But the bottom line, its all a process my friend, and it’s going to be wonderful when you hit that bliss…but be gracious in your approach to developing good habits. There is no doubt that we are going to hit a flurry of motivational valleys as we make our way towards professional registration, and understanding the Reminder, Routine, Reward Habit Loop is so important to ensure we stay on the offense when it comes to being efficient day in day out. When we are in one of these valleys, its often too much work to determine what we should be doing next. Decisions aren’t often made when our minds are in energy conservation mode and because of that, the result is us typically saying “we will get to it tomorrow” or altogether us just flat out quitting. Understanding the powerful nature of Reminders, we can be intentional in establishing simple acts to help us start down the road of being productive. Having a simple reminder solves any issues in knowing what you need to do next and prevents you from having to make any decision or debate whatsoever…you just flow right next in to the routine. You have the ability to train yourself for success just as much as you have the ability to train yourself for failure. 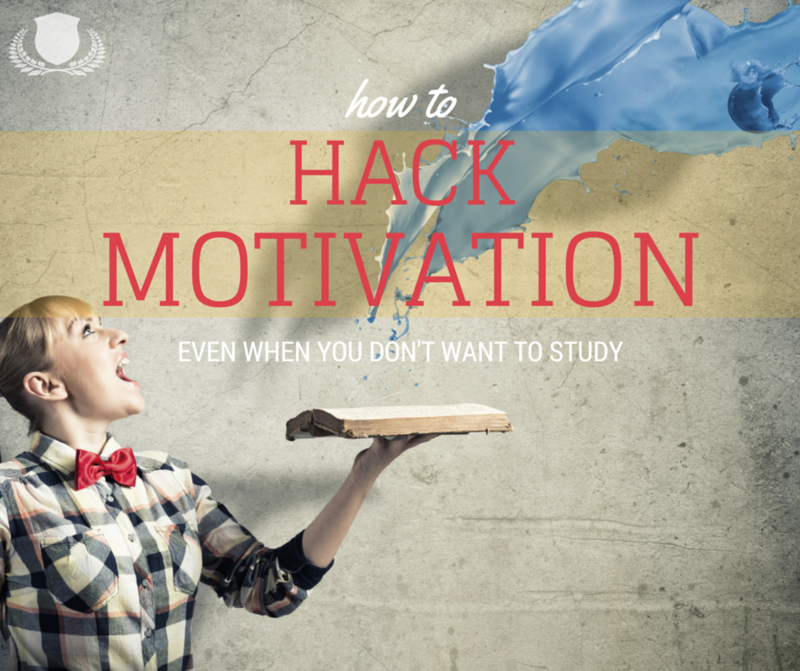 Today you may be reading this post and thinking to yourself, “I need to be motivated to even start studying for the FE Exam,” but I am here to admittedly tell you that it doesn’t have to be that way. If you’ve taught yourself to believe certain limitations (I’m not smart enough, I don’t have enough time, I am too tired, etc), then you can also teach yourself to break through them. The patterns that you implement on a day to day basis will eventually mold in to the identity that you believe in and the actions that you take. You can define and transform your identity whenever you want and become that person that doesn’t need to rely on motivation to perform at the level you want to perform. This is why it’s so critical to put in to place a routine every time you go to study, and follow though on that routine regardless of whether or not you feel motivated. These Habit loops reinforce your good habits and the rewards that come along with them. Pretty soon, your study routine will not only be a trigger that kickstarts your habit, but also a reminder of what you’re working towards and the type of person you are becoming…and that’s one that is productive, focused, and efficient with their time. Knowing the deep psychological workings of our being as you make your way through life is the difference between someone who takes control of their career and one who let’s their career be driven by someone else. If you only study when you are feeling motivated, then the consistency you need to be where you want to be come FE Exam day won’t be there. But if you put together reminders that trigger repeatable routines, then you will have the ability to overcome the daily battles within and continue marching your way towards becoming a licensed Professional Engineer. This CAN be your story. I know you want to pass the FE exam. I know you have insurmountable restraints locked to your time…I know that you work 50+ hours a week, have a family, and constantly dream about hitting that fluffy pillow once you step foot in that car at 5 pm. I want you to think about your future, where do you want to be, what do you want to be doing? Decide what you want your new habit to be. Now ask yourself, “How can I make this new behavior so simple to do that I can’t say no?” and share that specific Reminder or cue in the comments. So leave a comment now. And also, if you know anyone else that can benefit from knowing this powerful framework, do them a favor a pass it on using the yellow email icon on the left side of this post. Great post! The idea of rewarding oneself was something that yielded little result for me in the past but it makes sense to build in the others r’s; reminder and routine. It’s almost like making a to-do list without even writing anything down. Most definitely, thanks for jumping in Ken! Who knows when this was written but it is timely. I am going for my 2nd, and hopefully last try, at the fe in june. Thank you for the inspirational words and a new way to deal with it. In the past, I have tried blocking off time in my calendar, and have my prep book accessible, in open sight. Other priorities and work do wear my down. To find energy to start up again, I plan to set a cal reminder but this time not be swayed to do other things, review the manuals as my kids are doing hw, and start a physical warmup routine to jump start my body and mind. Thanks again for the suggestions. maybe you more ideas in your other articles; will chk out. If you can suggest anything else, I would appreciate it. So pumped to have you find this article, and especially in a time when it was most needed. Keep doing your thing, self awareness is huge in preparing for and finishing out the FE Exam…you got this. I look forward to hearing back on your successful 2nd attempt!